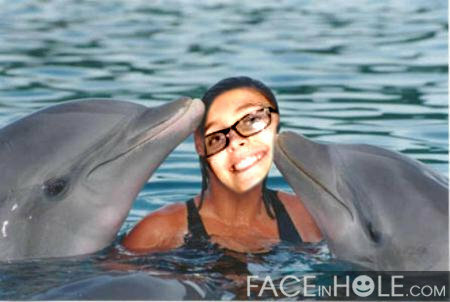 Paris swimming with the dolphins <3. I pag-ibig this one!. Wallpaper and background images in the Paris Jackson club tagged: paris swimming dolphins sweet cute.